Clarence Peter Helck spent his life painting a record of man’s work. 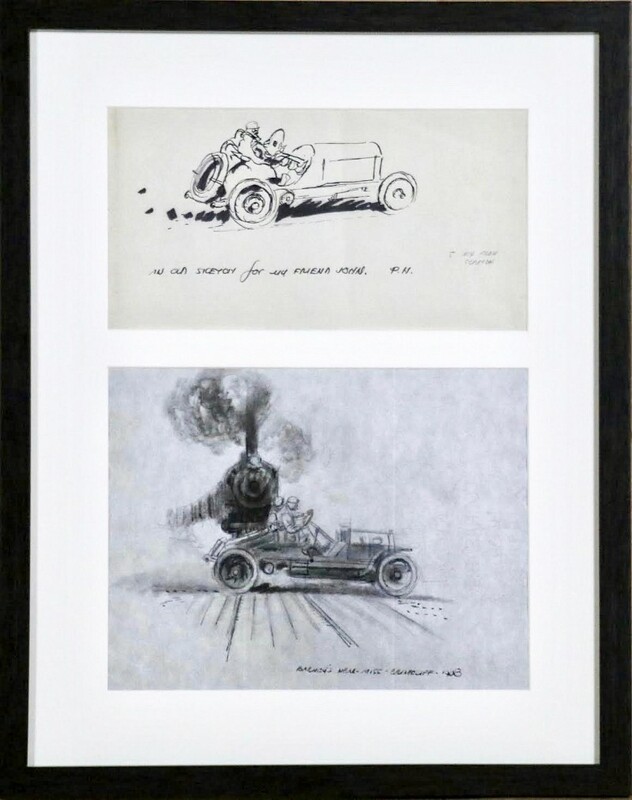 He made his basic theme a monumental one in his pictures, whether it be of a giant foundry, an open mine, or a dramatic moment in an automobile race. 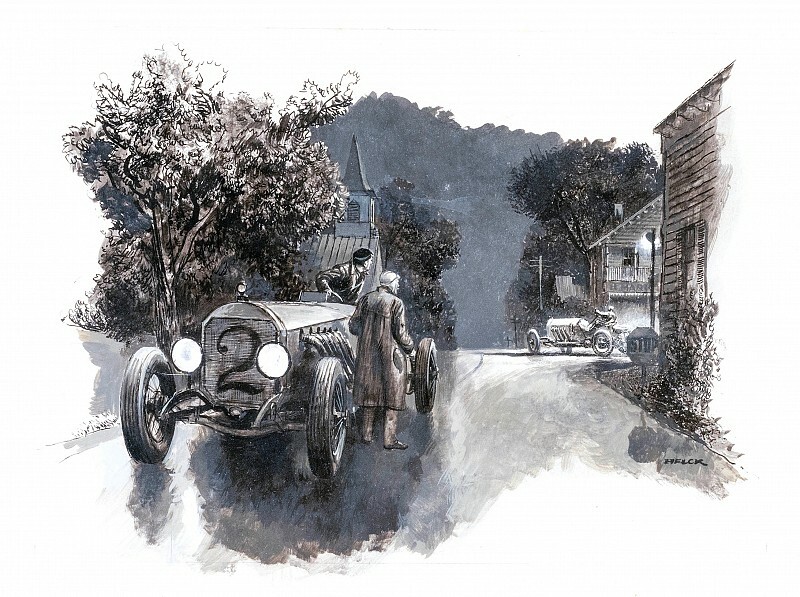 Peter came by his love for automobiles as a boy when he saw some of the early racing competitions. He eventually came to know many of the drivers and their giant racing cars intimately. These later became the inspiration for his illustrated book, The Checkered Flag, published in 1961. He owned a number of old automobiles, including “Old 16,” the famous Locomobile which won the Vanderbilt Cup race in 1908. The second of his two books, Great Auto Races, was published in 1976. Helck studied at the Art Students League of New York, and privately with many distinguished teachers, including Sir Frank Brangwyn in England. In addition to complete artistic competence, he had great capacity for hard work, as evidenced by the preliminary, thinking stages of his pictures. The nature of his subject matter demanded thorough mechanical knowledge, including the parts that did not appear in the picture itself. His working drawings which precede the finished paintings were completely worked out even down to the placement of the bolts. Helck’s rate combination of artistry and factual know-how made him the dominant figure in this field for many years. He won many medals and awards in art director’s exhibitions. He illustrated for almost every national magazine; his advertising clients were the industrial giants General Electric, Chevrolet, Mack Trucks, National Steel Corporation and numerous others. During the 1920-1940 period, Helck traveled and painted extensively abroad. Subsequently, this work was given one-man shows in New York, and shown in major Fine Art annuals in the East and Midwest. Except for some favorable reviews and awards, however, the twenty-year effort to breach the barrier separating fine and commercial art proved unfulfilling. It was natural for him to resume full time the remunerative field of advertising and magazine illustration.